Having ADHD is like having twenty bulletin boards, but no pins. There’s a lot of chaos—and nothing really sticks. When you’re trying to get a business going, having ADHD can be your worst enemy. You’re trying to learn what you need to do and you are distracted by everything around you. Sure you can come up with ideas, but which one should you pick? You need to learn some skills, but how many and how long will it take? You spin your wheels and find yourself at the same blank page wondering when your business will have traction. 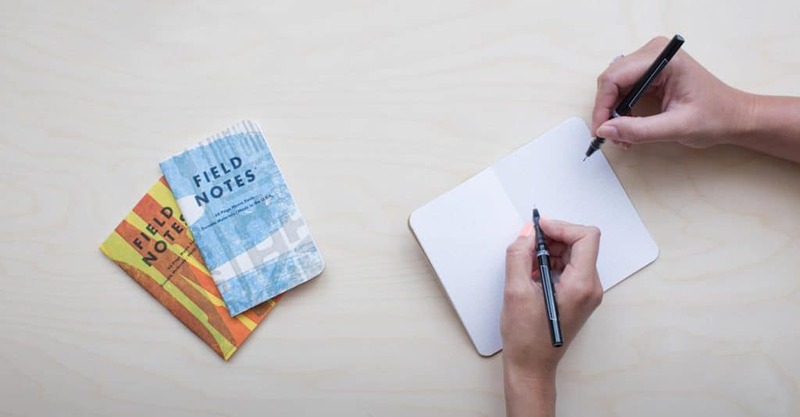 Here are my best strategies for moving forward with your online business and use your ADHD to help you grow and succeed with your new venture. Note from Chase: this is a guest post from Ryan McRae who’s writing at The ADHD Nerd helps tons of… well, ADHD nerds. But this post is helpful for ALL of us. Enjoy! You need a place to work that is only going to be for your online business. Your ADHD brain will immediately snap into the “mode” of wherever you are. If you attempt to work in the kitchen, you’ll be cooking a meal, even though you aren’t hungry. If you attempt to sit on your bed while getting some writing done, you’ll be asleep in no time. You have to find a work space that is clear of clutter because your ADHD is constantly looking for distractions. It might not even be at home. Maybe it’s a coffeehouse. Maybe it’s a shared office space. Wherever it is, once you build a habit of going there, your brain will adapt and the work will be much easier. We’ve all gone down the rabbit hole of social media. We wind up watching twenty cat videos and then getting into an argument on Facebook about Zayn leaving One Direction and if it really impacted the band or not. Know who isn’t helping you build your business? Zayn. That’s who. You need to cut yourself off from all social media while you work. Maybe you download an app that blocks that site for awhile. Whatever it is—do it. It’s not that Facebook, Twitter, tumblr, and all of that is bad but it isn’t helping your business at all. Hide your kids. Hide your wife. Hide your social media for awhile. Fizzle has awesome courses without a doubt. They provide valuable insight and save you a lot of time looking up the answer or testing methods that may or may not work. But if you are constantly watching videos, and even reading books, and just engulfing information, you aren’t building a business. You’re just a student. And that’s fine if you don’t want to make money. But as Fizzle says over and over: learn as you need it. Don’t watch a video about making a video course if you haven’t put your website up. If you are building a house and you just have the land in front of you, you don’t start with air conditioning, you start building the frame. Just do the next step of your business and don’t worry about what to do six months from now. Just do the work that you owe today. When you start an online business, you are tempted to see how other people are doing. Maybe you check out the Fizzle message boards or hear of a friend who has like 15,000 subscribers on her site. Why can’t that be you? What’s wrong with you? Nothing is wrong. You are just starting. Don’t compare your beginning to anyone’s middle. Also remember there are other people who are just looking for their business idea or they are just wondering if they should give themselves permission to start. Everyone is at different places—don’t spend your limited energy and willpower comparing. Nothing good comes of it. I ask them if they have ever written 2,500 words in a week. They shake their heads and usually burst out laughing; they quickly see the futility of trying to hit 25,000 words. We wouldn’t dare wake up and run a marathon if we have never run a mile. Our goals need to be small and attainable. See if you can write 200 words a day—if you can do more, great. If you can’t that’s fine. If you need to edit a video or podcast, make sure and give yourself ample time if you’ve never done it before. 6. Your business is a long obedience in the same direction. Some days you make it far and sometimes it’s a short distance, but regardless you learn, grow and make progress. It takes a while… so find a direction that feels right, lock in and let it develop. Your ADHD is actually a great ally. It can generate ideas and connect two or more random thoughts together to make something wonderful. It can be a huge asset when it comes to your business. It allows you to try multiple experiments to see what works for your business. Maybe you can use Instagram to up your game. How would you do it? Maybe creating a regular Facebook Live night when you talk to your potential customers is the way to go. There could be a great physical product idea or email course you could offer. Your ADHD will churn out 1,000 ideas and you can’t follow up with all of them, but you can give some a shot. If an idea doesn’t work—ditch it. You have 999 more ideas to go. When I wanted to start my online business, I knew I had to carve out some time. I have a 9-5 job and I have responsibilities. I had to stop spending time doing that stuff so I could focus on my online business. Sure I watch Netflix or Hulu on my tablet, but I found that killing my television watching opened up 12-15 hours a week to work on my business. Do whatever it takes to cull out time to build this business. You need an odometer when it comes to your business, metrics that show how you are doing and how far you’ve gone. For example, by the end of this year, I want 18,000 subscribers. That’s a big (and at times, scary) number. But I have a benchmark for each month on how many subscribers I need. I also have a benchmark for the income I receive each month, guest posts, etc. I check these metrics at the end of the month (it’s in my calendar. Why? I’m ADHD as the day is long) and if one is falling short, I ramp it that area the following month. Your ADHD needs metrics because we will judge how we are doing in business by “how good we feel” and that’s a terrible metric. You will find more motivation once you can see the progress you are making. When you hit your metrics, launch a product, publish your book, or hit a homerun with a client, you need to reward yourself. When you hit 100 subscribers, buy a book you’ve wanted to get. The great thing about being an entrepreneur is the freedom you have. The rough part is that you don’t get a lot of “Great job!” comments. You have to generate those yourself. Set up a great reward system to get you moving in the right direction. We all need the carrot. Let me share something with you quite personal. I hate doing laundry. I hate the entire process—the sorting, the washing, the drying, the folding, the putting away. I hate it all. I’d rather a gorilla punch me in the face at random times during the day than deal with laundry. One day, while dropping off dry cleaning, I asked if they did “fluff and fold” laundry service. The little old lady said, “$1 a pound sir.” I nodded and went back to my car and ran home, grabbed my hamper and brought it to the laundromat. She quoted me a $20 price and I said, “SOLD!” I just bought about 2.5 hours of my time a week—no more detergent, no more lint filters and no more hassle. Sure I’m paying a premium, but I’m trading money for time. Maybe you need to hire out your kids to clean out your car. Maybe you can pay someone to clean your house. If you have the means and something just destroys your motivation for getting your business going, outsource that—and quick. 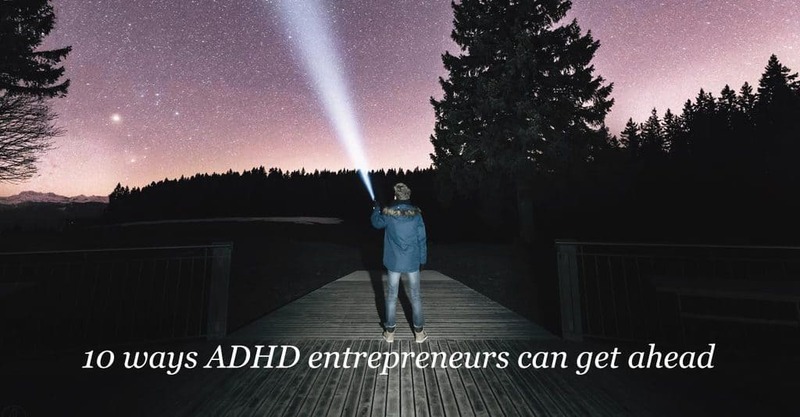 Your ADHD (whether suspected or diagnosed) doesn’t have to be a barrier to your success as an entrepreneur—you simply have to negotiate with it. Your ADHD can help you create fantastic and creative offers for your clients that no one else can. Play to your strengths and mitigate your weaknesses and your ADHD will be your greatest ally. So that’s my list. Hope it’s helpful to you. If you have more to add, let me know in the comments below. Thanks for reading! Ryan McRae is the creator of the blog, The ADHD NERD, a blog dedicated to helping people be more productive, successful and happy especially if they have ADHD. He is a voracious reader, swing dancer and loves him some pumpkin spice. I have ADHD. How about you?